Wärtsilä Online is a totally new web-based customer platform aimed at providing state-of-the-art support service that allows customers to better manage their installed assets. The technology group Wärtsilä announces the launch of Wärtsilä Online, a totally new web-based customer platform aimed at providing a state-of-the-art support service that allows customers to better manage their installed assets. The new platform replaces the company’s current customer portal, Wärtsilä Online Services, which has been supporting customer installations since 2014. Wärtsilä Online is designed to be a ‘best-in-class’ customer service. 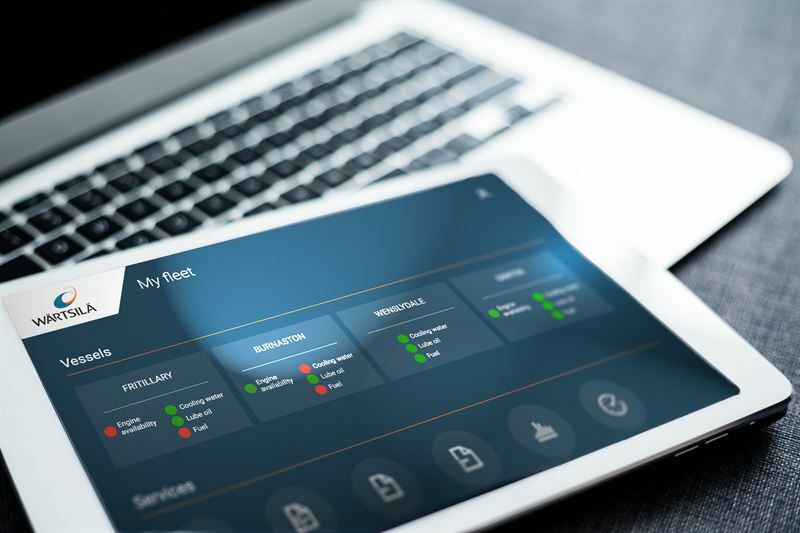 It enables mobile usage, and has enhanced and completely new features that create notable customer value in terms of smart maintenance management and real-time collaboration. This 24/7 service minimises the time spent in manual steps, reduces human errors, and provides customers with readily available and up-to-date information regarding their installations. “Our new customer portal, Wärtsilä Online, reflects the significant technological advances that Wärtsilä has introduced as part of its Smart Marine and Smart Energy strategies. This digital interface clearly improves customer experience relating both to service design and service speed. Wärtsilä experts are on hand to ensure that the appropriate business processes and value proposition are delivered. Above all, Wärtsilä Online enables better management of our customers’ assets, and it is available anywhere, anytime, and with any device,” says Jyri Kulmala, General Manager, Online Development, Wärtsilä Marine. Wärtsilä Online will be officially launched at both the Seatrade Cruise Global conference and exhibition, being held in Miami Beach, Florida from April 8 to 11, and at the Sea Asia conference and exhibition being held in Singapore from April 9 to 11. Image caption: Wärtsilä Online is a totally new web-based customer platform aimed at providing state-of-the-art support service that allows customers to better manage their installed assets. All Wärtsilä releases are available at https://www.wartsila.com/media/news-releases and at http://news.cision.com/wartsila-corporation where also the images can be downloaded.